While in business school, Collin founded Skylight using a converted pool house just off the Stanford campus as his “world headquarters” (and apartment). Prior to founding Skylight, Collin led the deal origination team at Alpine Investors and managed a team focused on locating and evaluating new investment opportunities. Before Alpine, Collin served as the marketing manager at Venture Asset Group, a company tasked with the disposition of strategic telecommunications assets. Collin also worked at Telseon, a national telecommunications firm, where he was a leading salesperson. 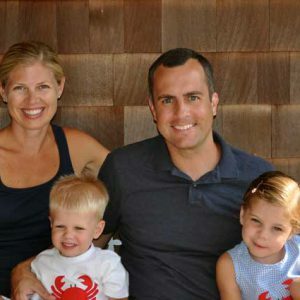 Collin lives in Seattle, WA with his wife and two young children. He is a member of Young President’s Organization (YPO) and is a die-hard fan of Stanford Football, the Seattle Seahawks, and the Seattle Sounders. Collin currently serves as the chairman of Bonney Plumbing & HVAC and Guardian Roofing. Collin previously served as chairman of Abacus Plumbing & HVAC, Berkeys HVAC & Plumbing, Parker & Sons, the Wrench Group, and Vulcan Precision Linings. He received an MBA from the Stanford University Graduate School of Business as well as a BA in Economics from Stanford. Copyright © 2018 Skylight Capital.